In your current home you may have your master bedroom, bathroom and closet on the second floor and laundry room on the first floor, or worse yet, the basement. For a home designed to thrive in place think about what functions you do together and locate them in the same part of the home. I loved this home from Maple Craft Builders at this year’s Columbus Parade of Homes. 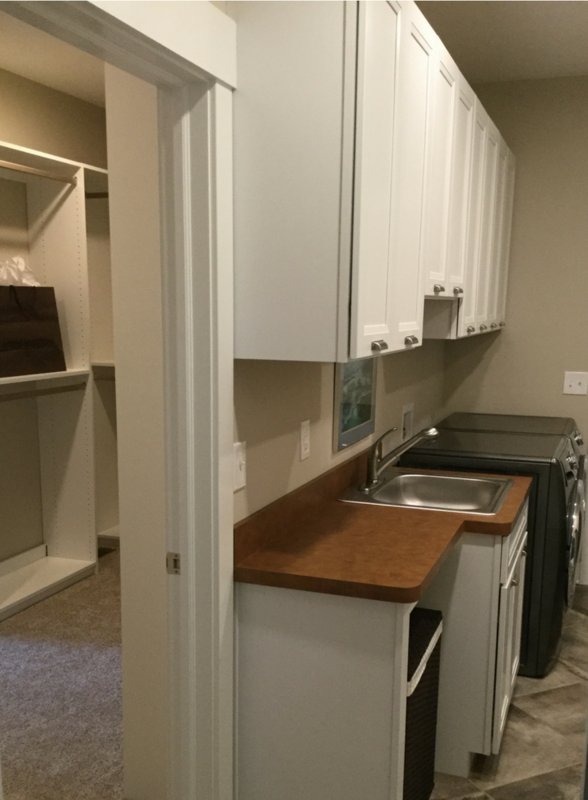 The laundry room is located next to the master closet (on the first floor). You can take off your dirty clothes and put them in the designated hamper in the laundry room (no carting dirty clothes bins up and down stairs). This design is convenient, simple and smart. Master suite strategy #2 to thrive in place – Get rid of accidents waiting to happen. Eliminate your shower curb or tall tub to step over. I think it’s downright wrong that my body is a bunch of “wear-parts.” Yes, I think of myself as younger than my age (when people ask me how old I am I often “unknowingly” shave off a year). The reality is my body isn’t as flexible as it used to be (my neck reminds me of this). I need a smarter bathroom and shower design to compensate for my mobility and flexibility as I age (although maybe the yoga classes Rose is trying to convince me to take will help). A smart idea is to eliminate the 4-5” step over shower curb (or get rid of the 12” to 16” tub to climb over) and go with a one level shower design. There are simple systems where a shower base “former” is placed directly on the joists and your bathroom floor is then waterproofed. With these systems you get a sleek look – which is contemporary and safe. Check out one example below. Master suite strategy #3 to thrive in place – Let there be light, and lots of it! I’ve never gone to the eye doctor and he said, “Mike – it’s a miracle your vision has improved!” The prescription has always gotten worse. It’s harder to see than ever. Driving at night is tough. Finding things in dark places in the closet is tougher. 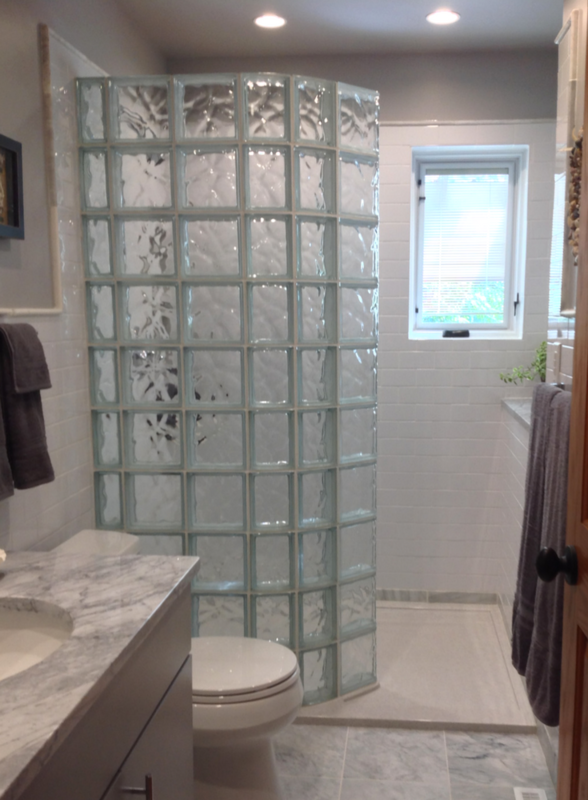 Add a transom window (a small horizontal unit) at the top of your shower. With this window type you won’t give the neighbors an unwanted “show” – but will make it more pleasant to shower and get a good shave. 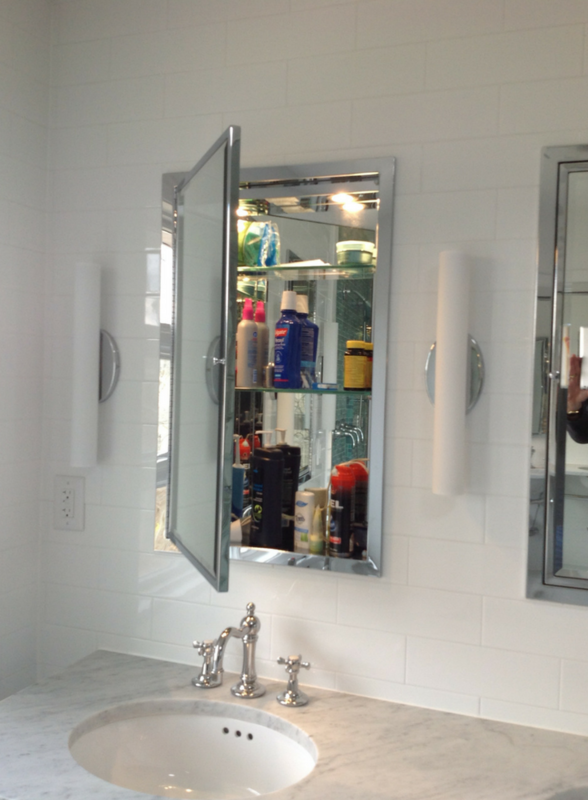 Light inside spaces – If you have a medicine cabinet which is a pain to find things, buy one with lighting built inside. Get a bathroom mirror with built in lighting. These mirrors are slick and stylish. If you really want cool get one with a TV built into it. Add motion detected LED lighting into your master closet. You can use light in drawers, by hanging sections – you name it. These units aren’t expensive and don’t require a new electrical outlet be installed. 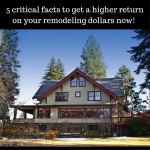 If you’re like me when you owned your first home, you didn’t know a well-done remodeling project from a bad one. You easily could have been a target for an unscrupulous contractor who would cut corners (at your future expense – not his). The days of putting up with poorly done projects are long gone. What’s behind your shower walls matters – Insist your tile shower is waterproof (not simply water resistant). This can be done with waterproof wall backer boards like the Wedi and Kerdi systems. 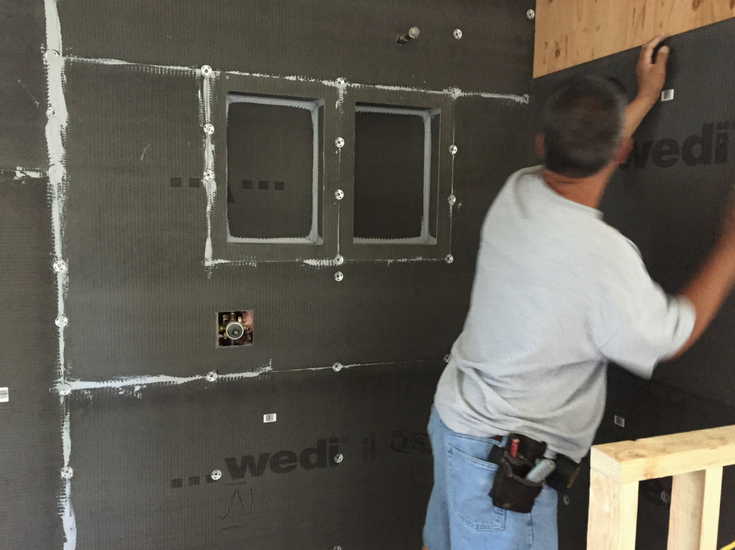 If you’re using a grout free shower wall panel system find out what material is being used behind the wall surrounds to make sure it is endorsed by the manufacturer. 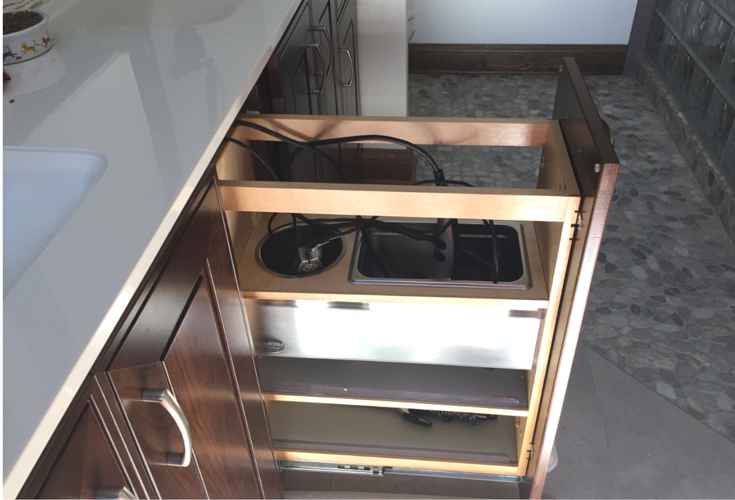 Cabinetry and storage should adjust and come to you – While vanity cabinets and closet systems are tied onto the walls it doesn’t mean they can’t and shouldn’t be designed to “come to you.” Bending over can be tough. Don’t make it harder having to reach “deep within” base vanity cabinets to find stuff. Make sure your drawers slide out and come to you. Don’t settle for a closet system which doesn’t adjust to you and your partners height. Adjustable storage simplifies your life. Make sure your shower “foundation” is solid. 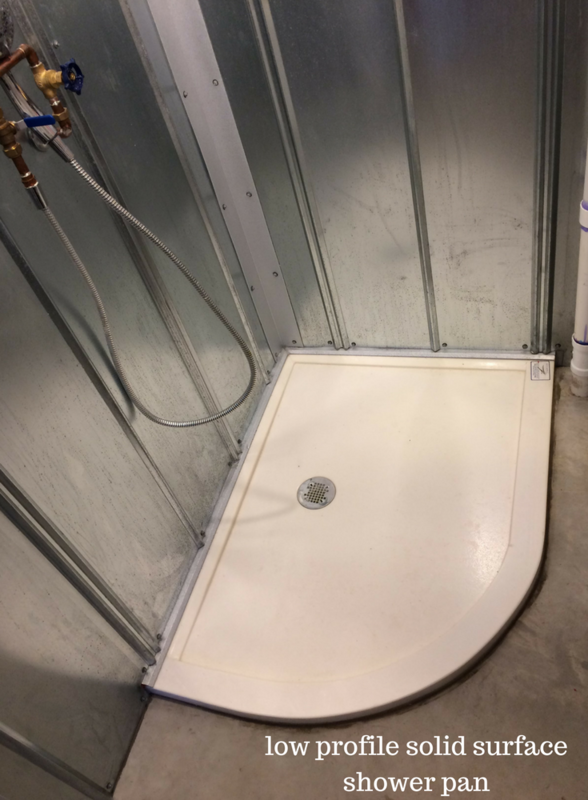 Your shower pan is more important than your shower walls – If you’ve experienced a shower pan on the second floor leaking into your dining room on the first floor – you know a cheap shower pan is an expensive future problem. Don’t use the cheapest shower base you can find. Select waterproof shower pans or engineered stone shower bases which won’t crack, chip or flex when you walk on them. You’ve spent years on your hands and knees scrubbing tile floors. You’ve spent years cleaning out gunk between the nasty framed shower doors. Why do you need to deal with these hassles anymore? The builder who tells you EVERYONE loves tile isn’t the person cleaning your grout. 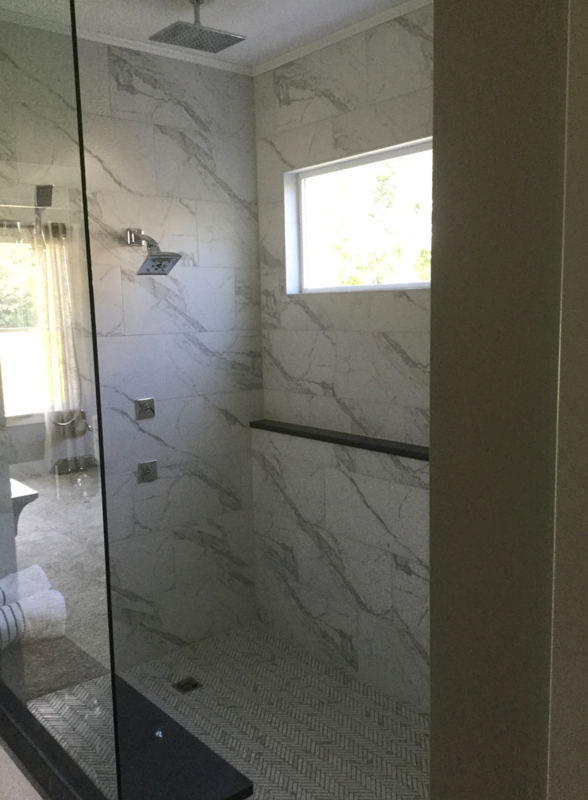 The remodeler who wants to impress with his low-low prices using a cheap fiberglass shower with a framed shower door isn’t coming to clean the hair and dirt out of the metal shower tracks after he’s got your money. Don’t be strong-armed by contractors who aren’t responsible for your bathroom maintenance to tell you what do to in your space. Be vigilant. Stop maintenance before it has a chance to stop you (from having fun). You can thrive in place when you have a bathroom which is low maintenance and doesn’t steal your time on yucky household duties. Here’s 2 ideas to cut your maintenance effort. Idea 1 – use grout free shower wall panels – Shower wall panels are no longer the cheap white plastic junk you see at the big-box stores. Colorful high gloss wall panels like these red ones below add pop to a room. 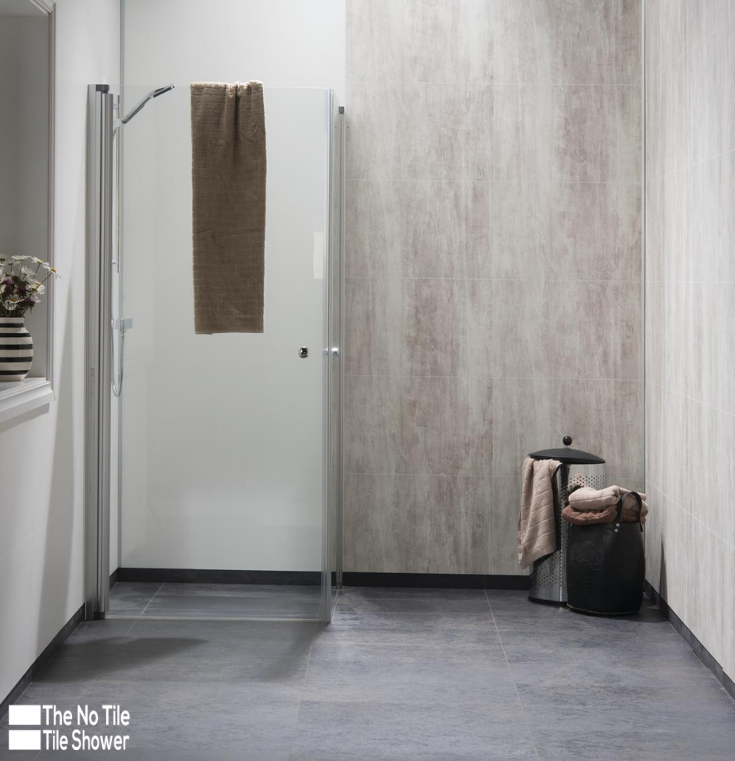 If you’d like a more understated – yet contemporary look – these laminated wall panels (which look like tile, yet have ZERO grout joints) the perfect choice! Slick, durable solid surface walls or even DIY friendly digitally printed faux granite panels make grout free shower walls stylish and let you retire your scrub brush. Idea 2 – Get rid of the shower door – Doorless showers are simple to walk into and allow you to stay in your home longer if a family member needs a walker or wheelchair. Walk in showers are also in style. I wish I was smart enough (or anyone for that matter) to turn back the aging process. The good news for you and me– and for the homes we live in – is we do gain wisdom along the way. The key is to use this wisdom in designing, remodeling and enjoying a home which goes beyond allowing us to “age in place” (like a stone). The key is to choose products, projects, contractors and designs which allow us to thrive in place. To live a life worth living. If you’d like help creating a home which can help you thrive in place I (and my team) would love to help. On a nationwide basis call Innovate Building Solutions at 877-668-5888. 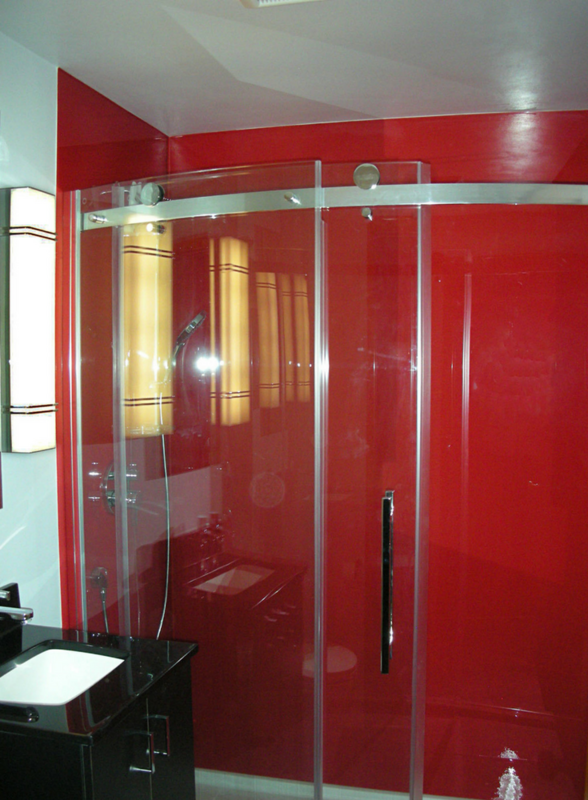 We have cool lines of shower wall panels, one level shower systems and glass enclosures. To improve your master bathroom call Cleveland Design and Remodeling at 216-658-1270 or The Bath Doctor in Columbus at 614-252-3242. For improve a master closet organizer system call Innovate Home Org at 614-565-5888. Do you want to get more aging in place strategies? There is a lot to learn about aging in place – and this is coming from a guy who has training in this area and talks about aging in place on a daily basis. Although in this article I shown several aging in place strategies for the bathroom – I really didn’t talk much about the kitchen or entryway areas. So – I wanted to provide you with another resource in an article titled 4 Essential Remodeling Projects for Aging in Place I think will be helpful for you. The best of success to you in making not only a safer home – but also a more stylish how through this project! Mike, I enjoyed reading your article and seeing the photos to illustrate your points! Excellent advice to those wanting to create changes in their homes to support their independence and safety. Looks like you have some work to do on your home. 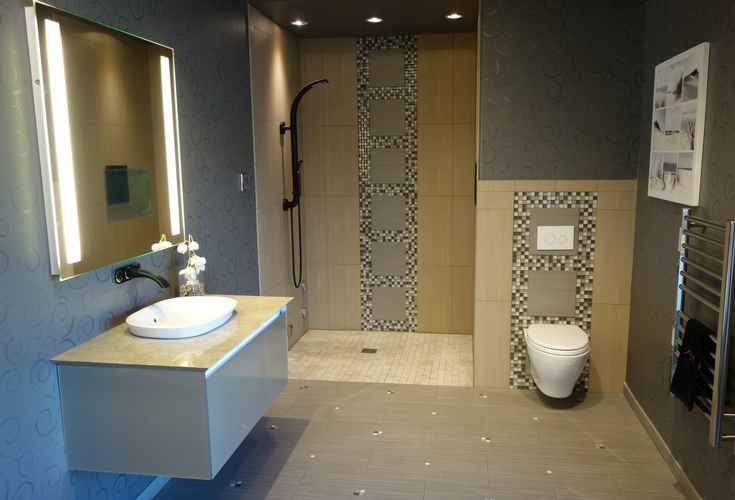 I enjoyed having you help in the design of our bathroom showers at our home, the Universal Design Living Laboratory. http://www.udll.com Your company did a fabulous job installing all the glass block in our home. Great natural light comes inside and we maintain our privacy. As a person who uses a wheelchair, I am glad that the curbless showers have channel drains on the floor instead of center drains. Much safer for transferring from my wheelchair to the shower chair.